Hi Frugalistas! I love clothes – beautiful clothes. I have a lot of them, and I love wearing them. I love creating new looks and going out knowing I look good. When I travel it’s no different. I still want to look good. But I also love travelling light with just my one carry on bag when I go travelling. Having a great carry on bag wardrobe comes down to choices – what you choose to take and what you choose to leave at home. So, using my own real wardrobe, here are 5 things I never pack and things to pack instead, guaranteed to make carry on luggage packing travel easier. 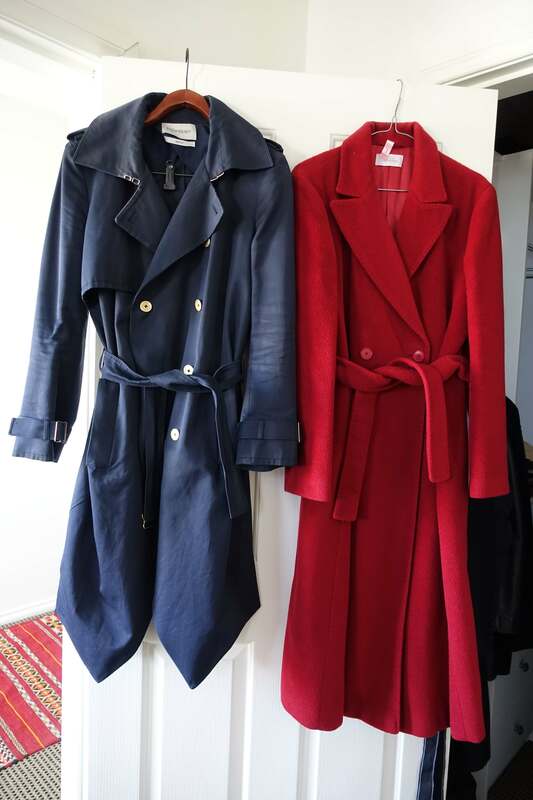 When you are travelling to cooler climates it is tempting to take a thick overcoat to rug up. But for me, a big woollen overcoat is a big no, no. Too big, too bulky and not helpful if it rains. If it’s seriously cold an overcoat is not warm enough, and trans seasonal it’s just too hot. Despite all my years of travelling with one carry on bag I’ve never worked out how to pack an overcoat into a carry on bag. 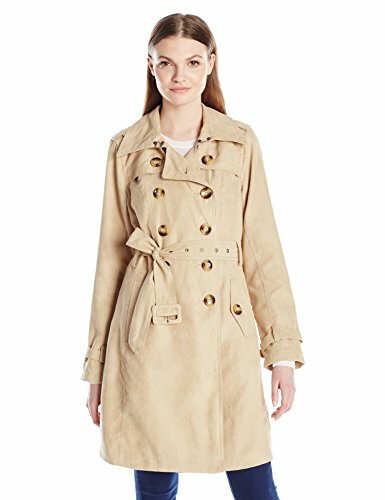 My preference is a classic cotton trench. In the wet it provides some protection, and in colder weather, I layer, layer, layer. If you don’t want to wear your trench it will pack down making it easier to carry. My brown leather jacket is a great piece. It’s my never fail go-to jacket for all sorts of occasions. It goes with jeans on the weekend and is perfect with a plain skirt for work. Given my love of versatile pieces you’d think I’d love to travel with this jacket. But I don’t. Firstly, the front is beaded and quite fragile, so that means it needs to worn and packed very carefully. Secondly, I don’t have enough options to make this part of my capsule travel wardrobe – the brown just doesn’t go with much of my preferred capsule pieces. 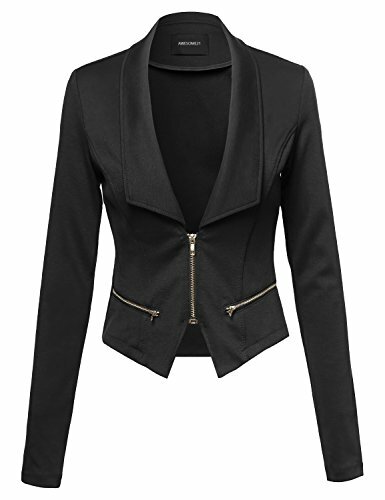 My preferred travel option is therefore a classic black cropped jacket. It goes with everything and packs down to nothing. It doesn’t crease. When I’m travelling I want to concentrate on enjoying myself, not worrying about whether I’m going to ruin my clothes…..
Leave items that need special care at home. You’ll spend more time worrying about your garment instead of having a good time. Stick to pieces that go with everything – the capsule wardrobe is king! 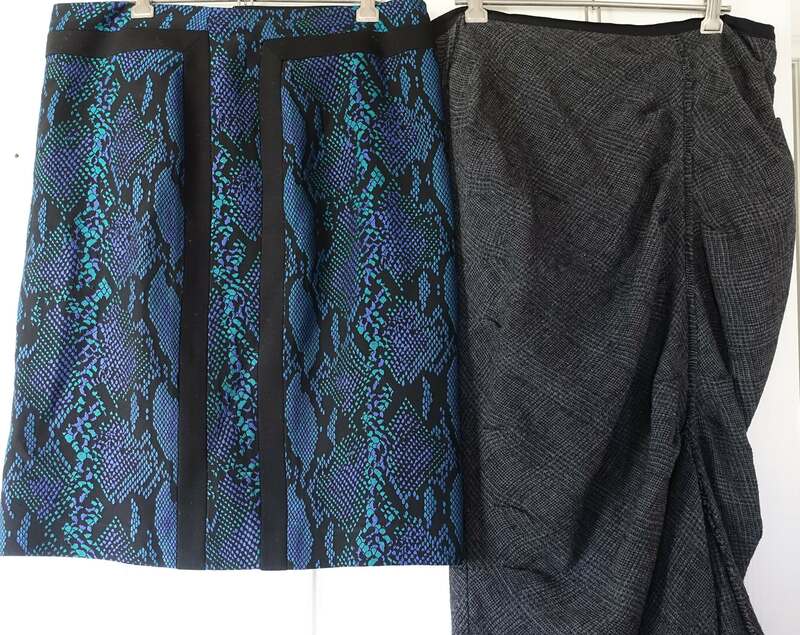 When I bought the skirt on the right I thought it would be a travel winner. It looked fabulous on, and was super light and comfortable. It packs down to nothing and doesn’t wrinkle. BUT……I don’t like how it looks with flat shoes (it really needs heels to look good) and needs grey, rather than my usual black tights. So, disappointingly, it’s not going on my travels. 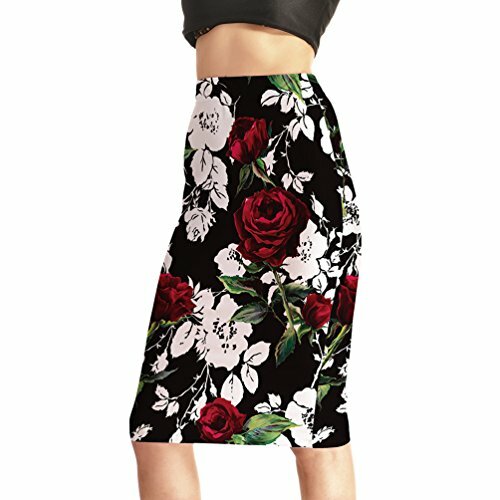 That doesn’t mean you have to settle for a boring plain black skirt. Instead, I’m going for this stretchy patterned number. It goes perfectly with flats, and the colours fit perfectly with other items I like to take as part of my capsule wardrobe. I still feel great in it, and I know I’m not missing out looking good whenever I wear it. No matter how great a piece looks on you, it’s not worth packing if it needs special accessories, shoes or other garments. Take something else that goes with everything, but still makes you feel special. On the weekends I love my sneakers. I wear them with jeans, with skirts and with casual dresses. But I never travel with them. I like my shoes to multitask just like my clothes, and sneakers are just too limiting. They are casual and that is that. In warmer climates I go for flat espadrilles. I can wear them all day, and then for a casual night out if I don’t want to get dressed up. 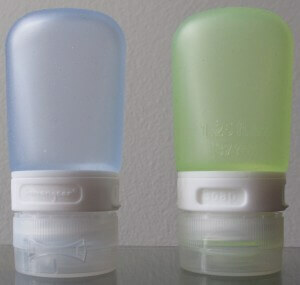 They take up no more space in my bag, and just deliver far more bang for the buck! When it’s cooler I wear my flat ankle boots. Again they go with everything. They are comfy and can be dressed up or down. Sneakers for home, but not for the road…. Your shoes should multitask too. Don’t take shoes that you can only wear with certain outfits or on certain occasions. 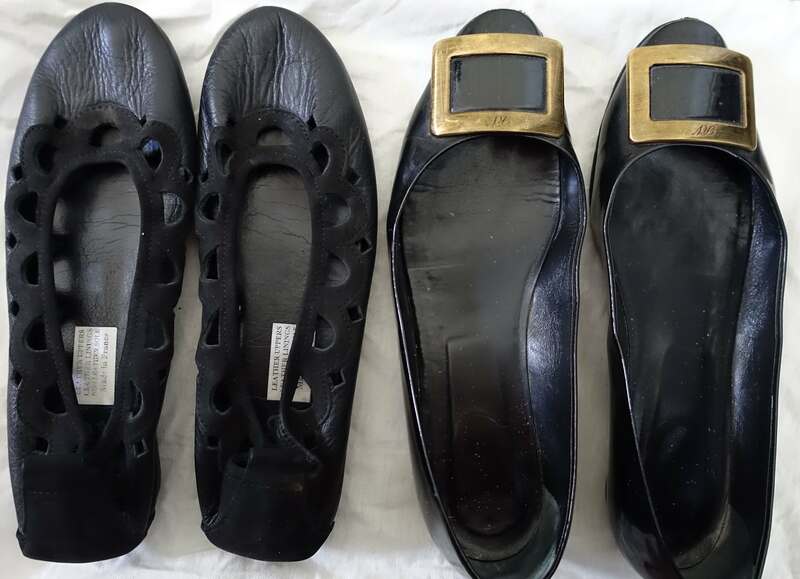 My black patent leather flats (on the right) came from Paris. They are smart and stylish and perfect for European travels. They are comfortable and go with everything. I wear them with everything from jeans to smart dresses and skirts. Perfect for my one carry on bag, right? No, I don’t travel with them. They are very solid and quite rigid – meaning they take up a lot more room in my case. They also have quite a hard sole, so are not so forgiving on cobblestones and uneven surfaces. My preferred option is therefore a pair of ultrasoft ballet flats. They pack down to nothing, and have a thick rubber sole that is far more forgiving on uneven surfaces. Think about how much room your shoes will take up in your case. It’s also important to think about where you will be walking, and what you will be doing. Uncomfortable shoes can make your trip miserable, so it’s worthwhile paying extra attention to making sure you have the exact right pairs. If my shoe choices aren’t your style, I’ve found some other great shoe options for travel. Think about what you are packing. Lay out your choices and think hard about your options. Go for easy wearing, comfortable, multitasking pieces. Remember capsule is king – forget about “outfits”, and make sure everything you pack goes with everything else. Forget about boring – you can still pack, wear and enjoy fabulous clothes in your one carry on bag – just spend the time to get it right. Oh dear God, a traveller all my life. I still end up taking too much so have studied your post which is filled with good advice. May I add two items that I find invaluable? I never leave without wearing a puffer/quilted 3/4 length coat. It is warm and light and once you board the aircraft,you can roll it up to cushion your seat on the flight. That and an East African kanga – a patterned cotton textile worn by African coastal women, are other essential items that go into my case. In a warm climate, the kanga can act as a sheet, a towel, you can wear it as a sarong and of course it folds flat. Indian women travellers are very lucky because they can pack a dozen different saris for any social or business occasion. Thanks Paula – add some packing cubes and it’s even easier! Trench, flat boots and flats are my uniform for Europe! I am seriously impressed with your previous one carry on packing tips and these are great tips too. I think I shall have to look seriously at what I pack in the future. I don’t overpack but I think I could better choose things that match and have multiple uses. Jan, if you can pack a bag where everything goes with everything else, your life will never be the same again. It’s not just a question of how much you pack, it’s also what you pack. Hey I love this, although I always pack sneakers. I find they double as hiking shoes for short treks, go great on bicycles and I feel bad for admitting this but my last trip I wore only flip flops or sneakers for a whole 7 months.. I def don’t fit the stylish travel category haha.. Love the jacket suggestions, I’m a puffer vest, in a plain colour u can dress it down for active times or dress it up with a scarf and black base layers. The actual things you pack really do depend on your own personal circumstances – I don’t need sneakers as I don’t hike and I like to eat in nice restaurants and cruise round fancy shops. 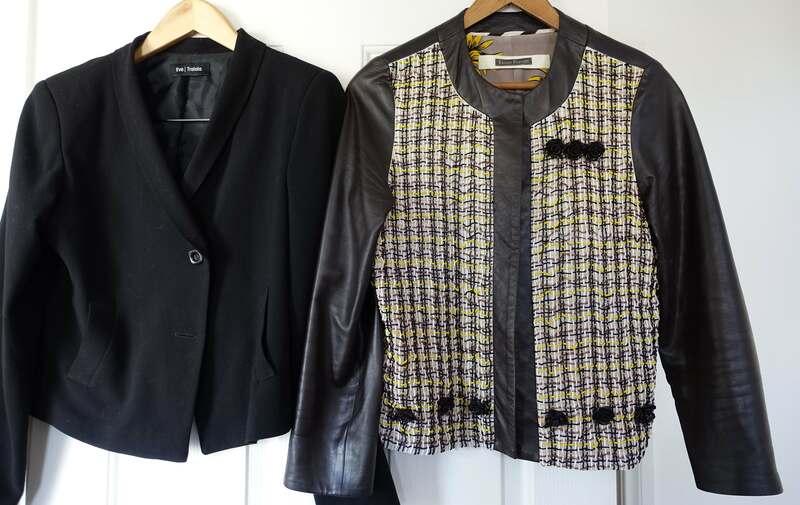 The trick with my packing posts is not to slavishly copy me, but to look at the options I present, consider your own wardrobe and travel needs, and apply the principles and logic I explain. Exactly Cindy. It is just that bit too long to wear with flats. However it is perfect with heels. I haven’t re hemmed it because it has a little flared piece set in the front that will be almost lost if I shorten it. It needs a serious remake to shorten it. I’ve got plenty of other things to travel with, so that one is easily left at home! Hi Jo! Loved reading your tips. 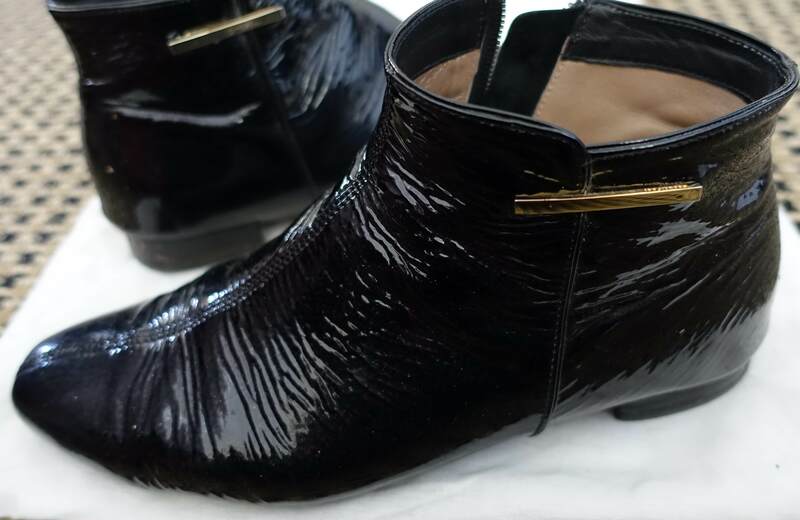 I’m going to Paris in May, and want to bring along a pair of black ankle boots. Do you think that would still work in the Spring? Love all this – but I can’t walk in ballet flats (tight achilles – and no, years of ballet didn’t fix them) so shoes need a heel at least 2.5 cm higher than the sole if I’m to walk miles in them. I’ve a narrow foot too, so am suddenly finding it difficult to find anything to fit. 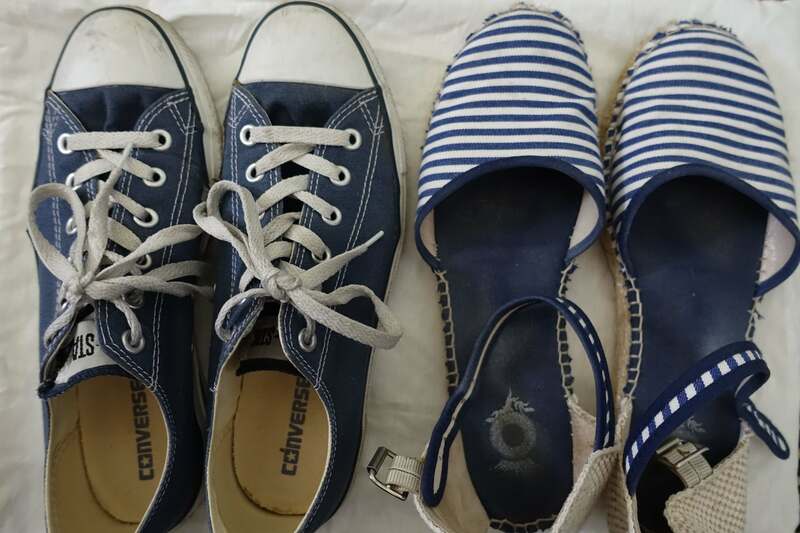 That said – in winter I travel with two pairs of shoes (walking shoes plus multi purpose boots), in summer three (walking shoes, sandals and a dressy but compact wedges [not v. high] that go with both dresses and trousers). I see no reason why shoes can’t be beautiful and functional, but it can be a challenge to get both. I need to check out your the ballet flats. Are they good for slipping off and on at airport security? 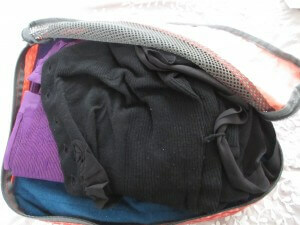 I totally endorse your packing philosophy even though my travel wardrobe even bores me on a 2 week or longer trip. Yes, shawls are great multitaskers to take as well. The scarf I always take is very large and can be used as a shawl as well. I agree re the puffer jacket. I squish mine into a plastic ziplock bag so it take up even less room. That’s a really good idea Johanna. I have also seen them with little bags a bit like a sleeping bag bag to pack them in. Definitely makes it much easier to pack. I totally disagree on the black flats. Mine have sport dukes and do double duty. They travel well and look great in any situation. Hi Julie, I’m not familiar with what a “sport duke” is, but if they work for you, then you should definitely wear them, and enjoy them! My own black flats just aren’t right for me. Less gear means less rummaging and reduced chances of hissy fits when stuff goes missing. I like this packing advice very much. It feels like years of wisdom. Thank you for sharing it. That’s exactly right Annie – far less stuff to lose or leave behind. I unknowingly commit every single one of those mistakes every time i travel ohmy. Usually end up bringing BOTH sneakers and black flats, needing a comfy option for walking and another to dress up! I really should get myself a pair of comfortable black booties that allow me to do both!!! I find a little black boot works very well for me in all but the warmest weather. Jenna you should personally pack what is going to work best for you – especially when it comes to footwear. Having sore feet when you are traveling is no fun at all. I have shoes that are a similar to Sketchers (sadly brand is now discontinue), they have memory foam insoles but look like a casual ballet flat (I could never wear an actual ballet flat, they’re not comfortable for me and slip off)…actually maybe more like a casual Mary Jane. Skechers now have similar ones. So they don’t look as casual as a sneaker, look nice with capri pants, fine for all day walking. I got lots of use out of them in Europe in summer. I don’t wear sneakers (except when doing sport/exercise)…like Jo, I like to go into nice shops (but hey, I did get heaps of steps in whilst doing the shop ’til you drop in London and Paris!). Finding a shoe that fits your style, and gives you flexibility and comfort is definitely the way to go. Terrific tips, thank you (tennis shoes can weigh as much as your carry on). 2 other tips it took a lot of trips to learn – wear your heaviest pair of shoes, boots whatever your trip or the weather dictates. (Why pack another 3-4 lbs? ); also, tempting as it is, no slippers. 1-2 pair of your warmest socks take up less space and you can always wear socks to bed, but with slippers you may still need the socks. Many thanks. Thanks Lynne. Personally I’m not sure why anyone would need slippers – socks suitable for the climate are far more versatile. And yes, make sure you wear the bulkiest pair of shoes. I am going to Paris for 4 days and then a Viking cruise in France. 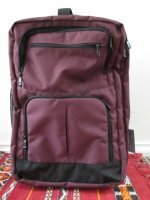 Can you give me some advice about a purse/handbag/backpack for the trip? I don’t want to take too much but thinking I’d like to be able to carry water with me each day. Hi Lisa, personally I like a cross body bag as I think they are more versatile than a backpack – if you choose the right one they are fine for using for dinner in restaurants or smarter nights out. I think whether you use a bag (purse) or backpack depends on your own personal style. Personally I’m not a backpack type, but I know a lot of bloggers who always speak very highly of Osprey packs – http://amzn.to/29tQ1iF . The sort of cross body bag I like for traveling is something like these: http://amzn.to/29pDrxv – some of them have specific spaces for water bottles, and I like a style made out of light nylon as they are very light to carry. Enjoy your trip! I guess I just travel alot. Sneakers are always there…some closed, rubber soled activities always crop up, especially on a cruise ship or a tropical port. Black flats are a staple for every trip-whether for a business trip or Cruise Elegant shipboard. Hhhmm, six pairs of shoes Jo? You definitely need to cut down. Firstly, you just have to remember that the only person who cares about what you are wearing is you – seriously, it’s true. Then you just need to start getting ruthless. Unless the ankle boots are really wintery I would be inclined to make them and your flats your key shoes. Then I would add in either (not both!) a pair of sandals designed for walking like these: http://amzn.to/2bO8owN or a pair of light sneakers. That should give you plenty of weather flexibility as well as walkability. I certainly don’t think you need walking shoes, and sandals and runners. Think very carefully about your wardrobe and how you can put together outfits just based around those three pairs of shoes, rather than starting with the clothes and then worrying about shoes. Think laterally with your clothes, and how you can layer pieces to get more wear from each, and how you can dress each piece up or down with scarves and costume jewellery. I hope you have a wonderful trip, and thank you for trusting me with your packing dilemma! Hi there, I’m planning an extended trip to Europe this spring ( transatlantic to Rome, plus 6 days there with the Amalfi coast thrown in, then fly to Milan and embark for a 17 day land / sea pkg , (starting at Genoa & cruising many ports around the European coastline to Hamburg. (then possibly a river cruise)…culminating with a flight to London (Southhampton) to board the QM back to the States, whew)… Can I honestly do all this with one suitcase or bite the bullet and take two because of the variety of activities I will be facing. Hate the thought of wearing the same 5 outfits for 6 weeks, HELP! 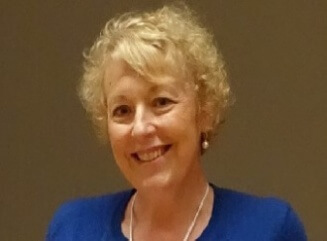 Hi Linda, if you plan your wardrobe carefully you should have far more than 5 outfits – make sure all your tops match all your bottoms, then follow my packing list guidelines. You should be able to make at least 48 outfits, not including those with different shoes, or different accessories. You will only be left with 5 outfits if you think in outfits rather than in colour combinations. Unless you are a very keen hiker, I think your trip is entirely do able in a carry on bag. Check out my river cruise post for ideas on how to pack for a river cruise. Having said that, I expect the QM is quite fancy. What I would do under those circumstances is pack some old clothes that you can discard when you reach your last proper shopping destination, then buy a couple of classic, but dressier items (separates are better than dresses) to wear in the evening on the QM. Yeahh! I agree with all of these tips! We should always pack smartly, the ones that could jive along the journey and will not stop us from having fun while on our travel. Thanks for sharing this post, such a good good read. Hi jo. I’m wondering if most of our packing dilemmas are caused by existing wardrobe choices. Your problem with brown jacket/grey skirt/black tights is an indicator. I had my colours analysed some time ago to be spring. Now I only buy clothes and footwear in neutral colours of warm tan,mid navy,dove grey and ivory. These all look good together. Add in accent colours such as apple green, turquoise, blush pink, coral, apricot, tomato and banana which are also compatible. This allows easy packing of climate suitable items. Another upside is that with a smaller wardrobe more money can be spent on each item! You’re exactly right Jane. If your wardrobe is not a perfect capsule wardrobe then your packing will have the same dilemmas I do. I’m good at it about 80% of the time – but the other 20% I can be persuaded if the item is totally gorgeous and I know I will wear it a lot. That leather jacket definitely comes in the 20% category – it only came in brown, and I had to have it. I Santie, I would go for either a low wedge or low chunky heel as an alternative to a flat. You may also get way with a black leather walking shoe with a pair of black trousers depending on how formal your meetings will be. Great suggestions,read your suggestion for the lady going on the QM about taking something’s she could toss out and buy new,having gone on many motorcycle trips one tip don’t throw the clothes away mail them home as you find great things on your trip.I have done the same with large items that I fell in love with on a trip you can’t put a painting on a bike.